While Microsoft continues to update Azure Government to superior levels, learning how to use existing features can get you moving fast on enjoying the benefits. As a government office, you obviously have no time to waste on changing the way you manage and access data. The cloud-based platform in Azure is going to give you some of the best features on the market today. Nevertheless, backing up your data needs special attention since you’ve perhaps become lax in this department. With compliance violations on the line if you ever lose data, backing up needs doing every day. Microsoft has worked hard to create a top-tier backup system in Azure Government. They make it easy to do and manage through features ranging from automatic storage management to long-term retention. Let’s look at the features you need now and how they work. What Makes Azure Government Backup a Standout? One thing you’ve probably realized is traditional storage methods often don’t work well with the cloud. 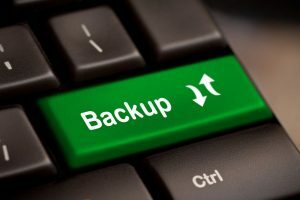 These backup solutions often look at the cloud as disk backup, which has far too many limitations. Because of these limits, you’re going to spend money on a backup solution that isn’t comprehensive enough to suit cloud platforms. Other times, you may invest in a backup program giving you too many features you can’t use. It’s better to use a built-in backup system if you can find one. Azure gives you one without charging you extra money. They’ve carefully listened to users and added various backup features you’ll find extremely convenient. No matter how you’ve felt about Microsoft products over the years, Azure doesn’t force you to spend more money unnecessarily. They make sure of it through their automatic storage management feature. You only pay for what you use in on-premises storage devices. It uses an automatic system allocating and managing all your backup storage. Price is going to vary based on how much data you need backed up, so use Azure’s backup pricing page to determine data amount and region. Many cloud providers give you too many limits on scaling capability. If your government office needs immediate scaling due to unexpected growth, you have automatic high-availability for your data. Much of this is possible thanks to storage replication, namely locally redundant storage and geo-redundant storage. If you prefer local storage backup, Azure replicates data three times in a local data center. For the second option, they’ll replicate data to a region farther away. Either option depends on how much you want to spend and how much durability you want for your backup. Geo-redundant storage gives more reliability when you have a regional disaster. Perhaps you worry about limitations and charges when transferring data for backup. Azure doesn’t do either, so you won’t have to worry if you get a sudden influx of data you need to save. In government, data is going to fluctuate often depending on the project you’re working on. Not worrying about limitations is going to reduce a lot of stress. Regardless, there is a charge for large inbound data through Azure Import/Export service. It shouldn’t surprise you that Microsoft goes the extra mile for security in their backup system. Encryption plays a big part in bringing a secure connection when backing up into the public cloud. With application-consistent backups, you won’t have to worry about additional fixes to restore your data to a consistent running state. Long-term retention in Azure backup provides security for you data so you don’t lose something transferring to another source. Keep reading us at cFocus Software Incorporated to learn about the best Azure Government features.